Blog RoofingHow Do You Know if You Need Roof Replacement? One of the challenges of being a homeowner is knowing when something needs to be replaced. This also applies to roof replacement. It can be difficult to tell if a structure needs to be fixed or replaced. This is why roof issues usually escalate before they are addressed by roofing contractors. In the interest in protecting our clients’ roofs, we have compiled a list of telltale signs that indicate a need for roof replacement. Not all roofs have the same life span. Some roofs can last for decades, while other roofs can last for much longer. In any case, check the paperwork from when your roof was originally installed, if you have them available. This will give you an idea of how old your roof really is and if it has exceeded its intended service life span. Are There Holes in the Attic? Step inside your attic during a sunny afternoon and look up. The roof and roofing deck should be immediately visible from where you are. Look around for holes in the material. These can be indicated by light streaming through the roof material. These holes are prime spots for leaks, so their presence means that your roof needs to get inspected by a professional for roof repair or replacement. Grab your step-ladder and climb up to the roof level. Look around and try to see if you can find any curling, missing, or otherwise damaged shingles. These shingles will need to be replaced in order to maintain the integrity of your roof. Take a look at the material you can find accumulating in the gutters of your roof. If you notice that a lot of granules are present, then you are faced with a dilemma. Unless your roof is brand-new, your roof should not be shedding many shingle granules. This could be indicative of an issue with the integrity of your roof and might indicate a need for replacement. If all else fails and you can’t figure out if you need a change or not, give us a call. As one of the top roofing contractor and deck builders in the state, we can help you figure out if you have an issue with your roof. 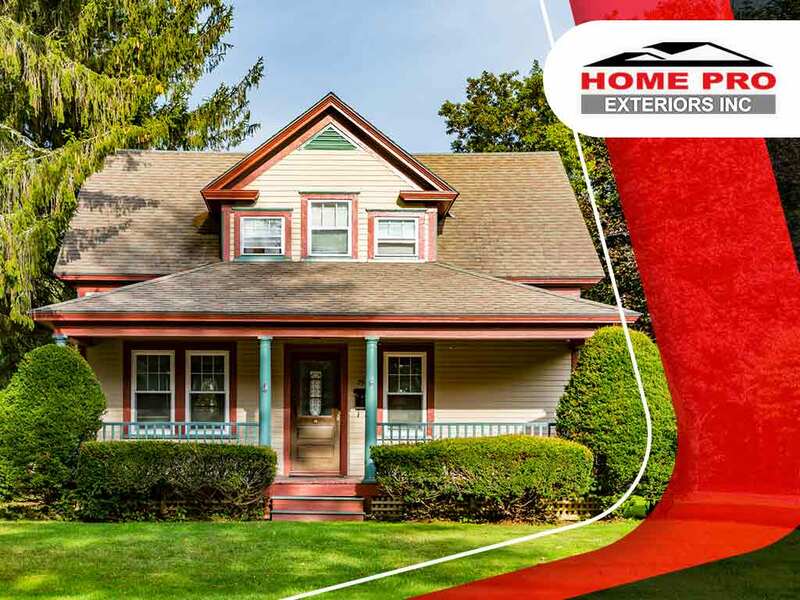 Here at Home Pro Exteriors, Inc., our team has had more than three decades worth of roofing experience. Ask us about our roof inspection and replacement service at your leisure by giving us a call at (845) 343-1777 or by filling up our contact form. We serve residents of Warwick, NY.